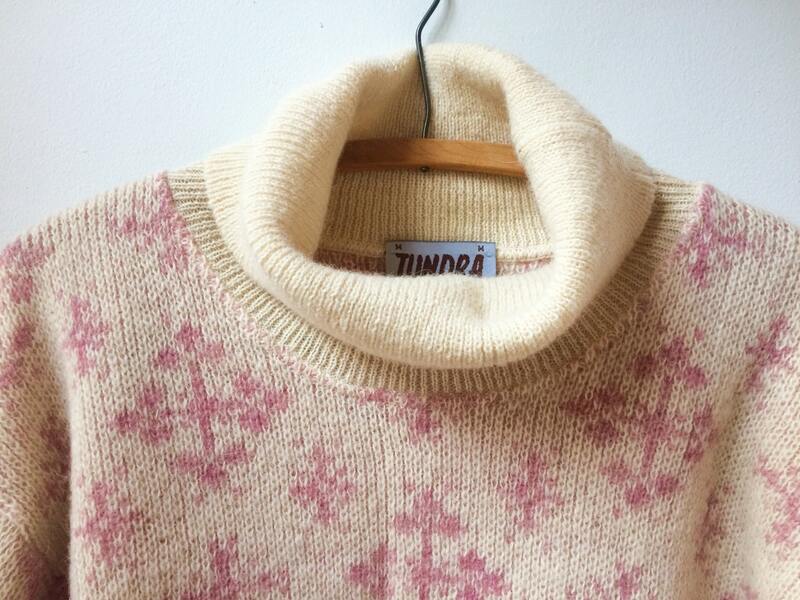 Beautiful vintage Tundra turtle neck sweater. 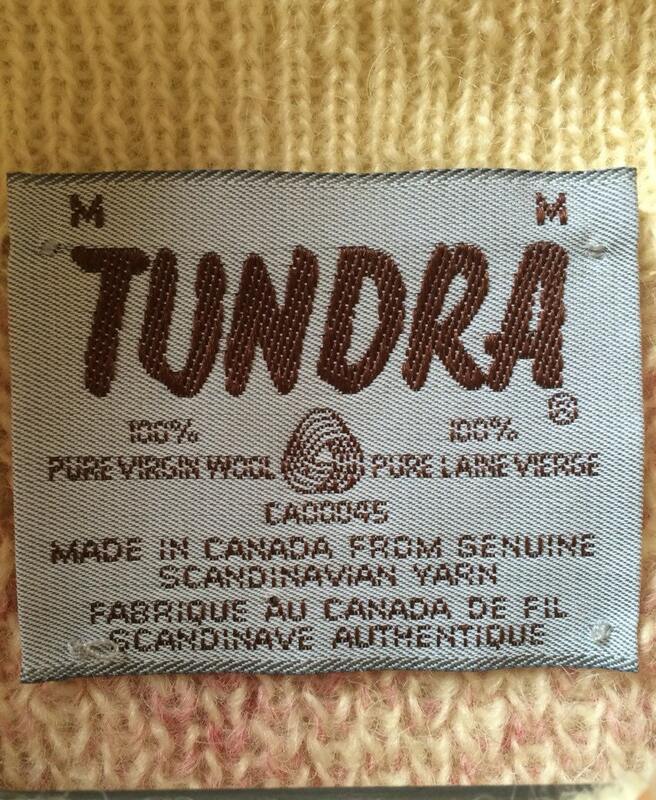 Made in Canada out of 100% pure, virgin, Scandinavian wool. 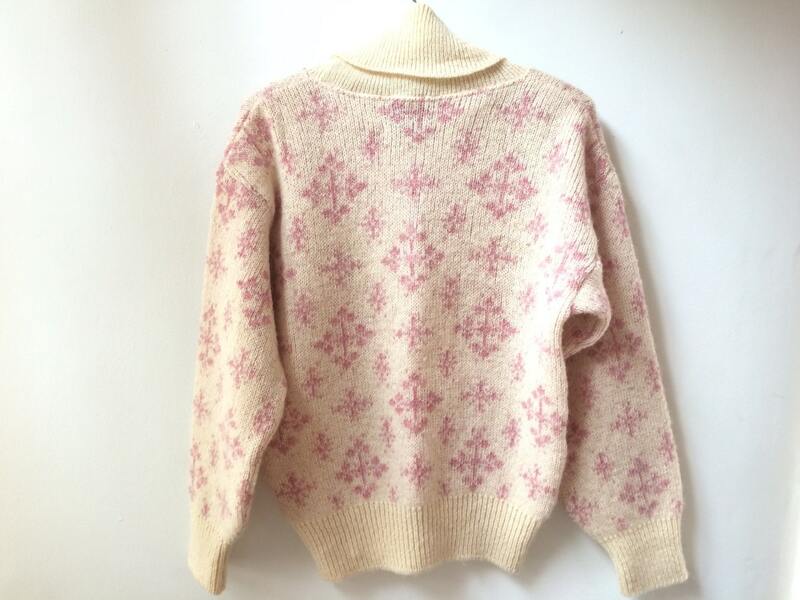 Cream background with a light rosy pink snowflake pattern. 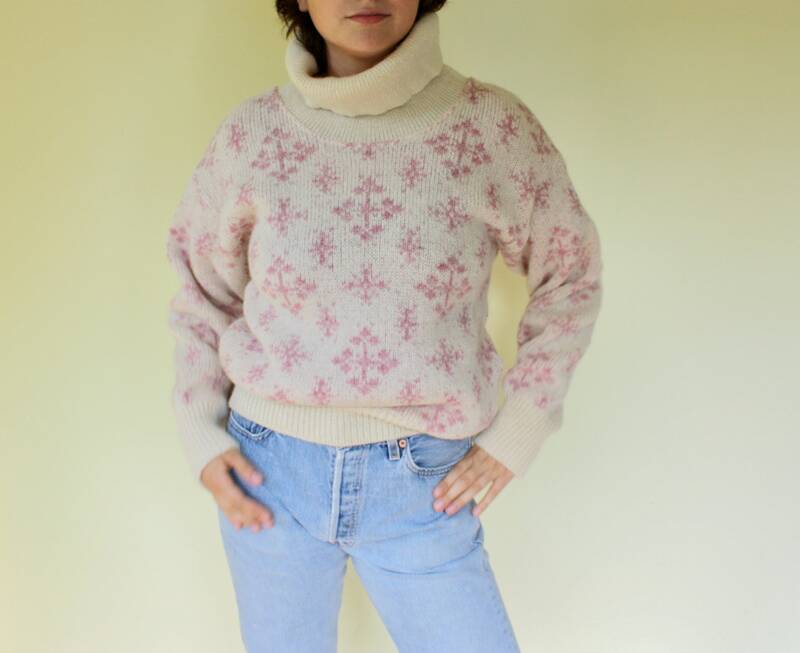 Great for looking great this winter at home, out doing winter sports or après ski. 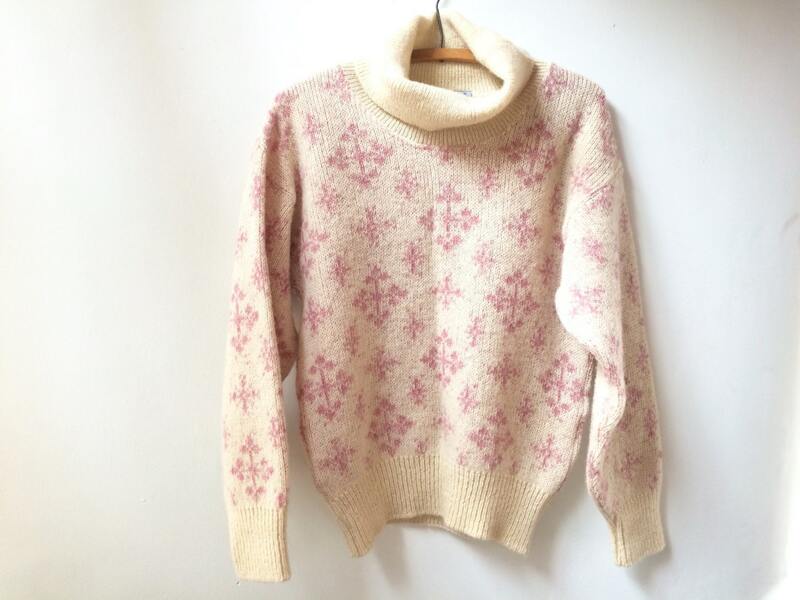 Condition: Excellent Vintage. 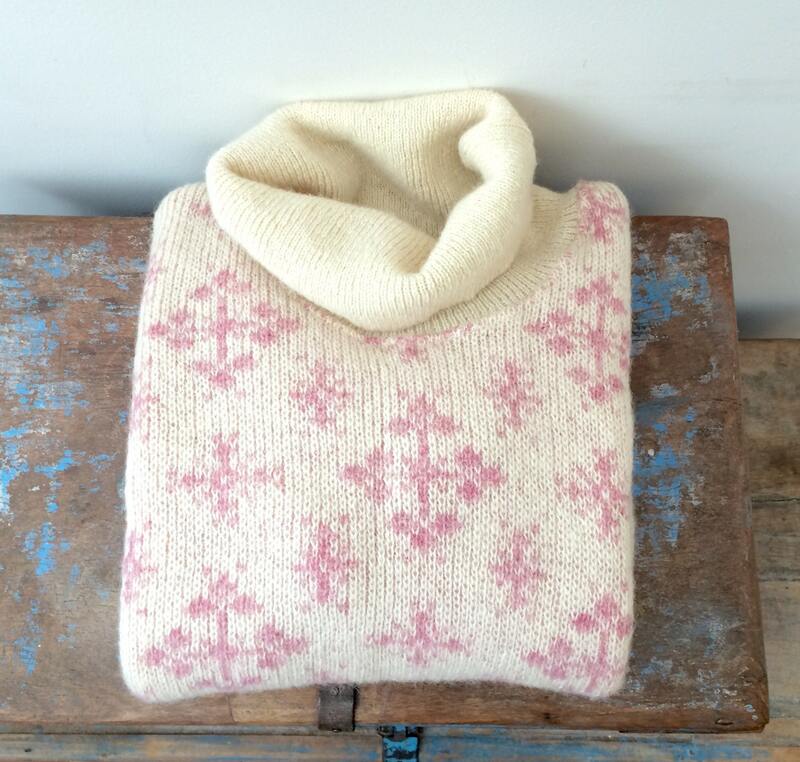 Very soft wool. No snags, tears or stains. Arm Length (shoulder to cuff): 21"
Shoulder to Shoulder: aprox. 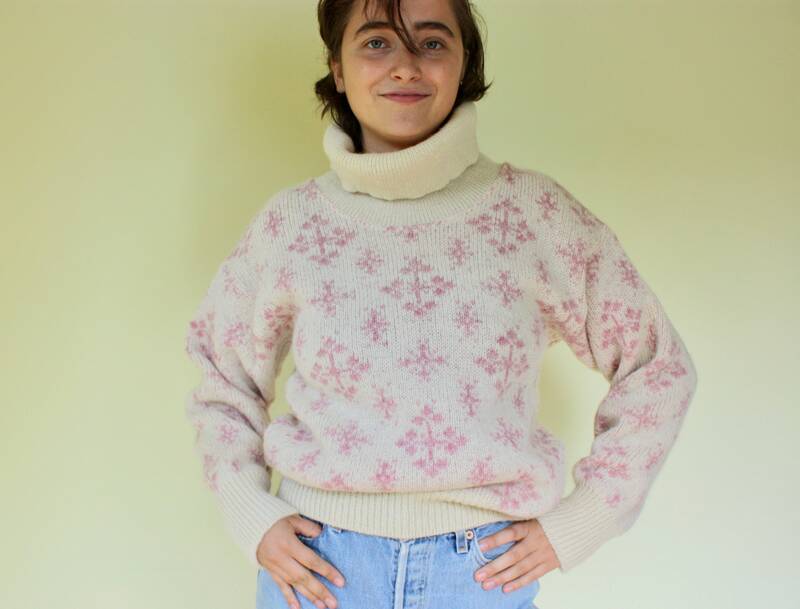 23"
Length (collar to hem): 20"
Turtle neck length (unfolded): 10"